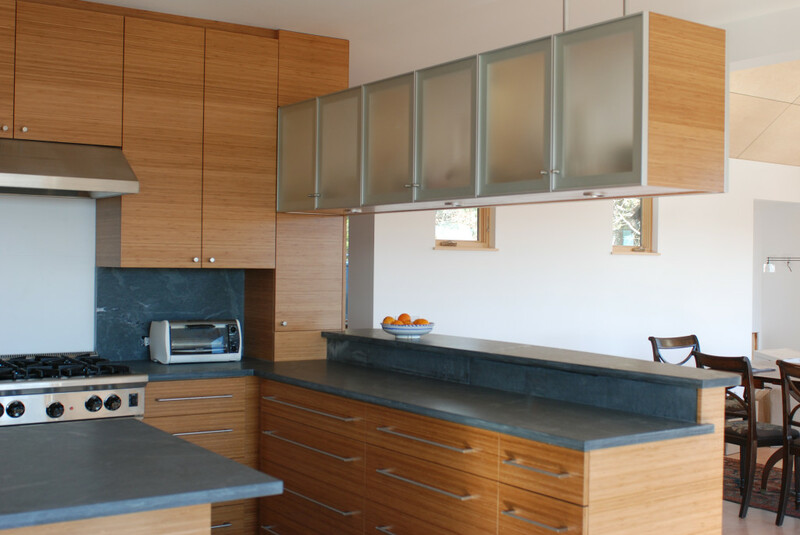 The flush bamboo kitchen cabinets make this very function kitchen a very presentable to the open living dining room. Tall doors and panels hide the refrigerator, pantry, broom closet and laundry. A 42″ bar counter with frosted glass cabinets above mask the workings of the kitchen from a dinner party. The counters are pietra cardoza and floor in-between the counters is porcelain to match. Everywhere else the floor is steamed beech which ties the living room, dining room and kitchen together.